Note! Do not make your order relying only on the e-book name! 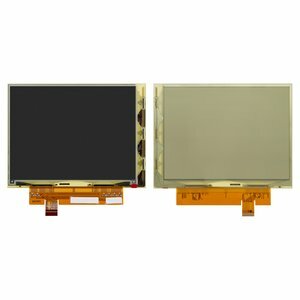 Before ordering the LCD, make sure that it is compatible to your e-book. Our article "How to Choose the Touchscreen for a Chinese Tablet or Cell Phone?" will help you to identify the right display. Imagine you have replaced the screen but it doesn’t clear itself before displaying the next page and you can still see some letters or words. In this case, you need to adjust VCON voltage. Many models have a special trimmer for this purpose but some models can be corrected via software only.